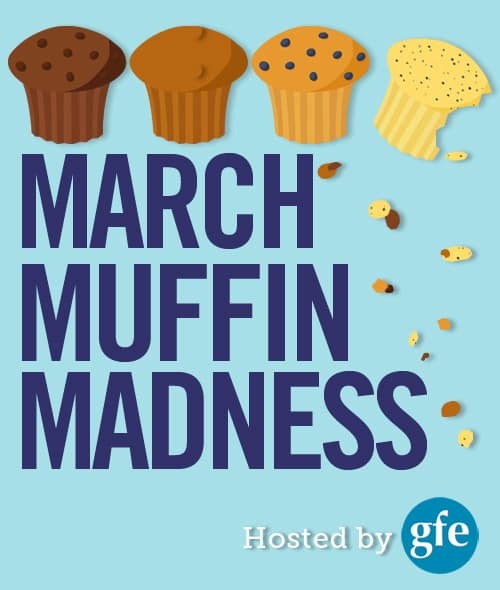 March Muffin Madness (MMM)—another day with another fantastic gluten-free muffin recipe, an awesome daily giveaway, and another chance to enter the overall/grand prize giveaway! 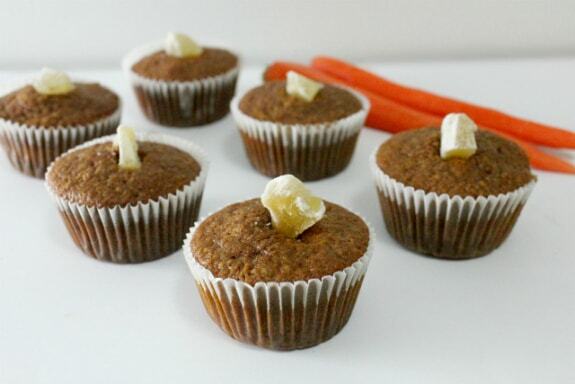 Read about these Gluten-Free Carrot Ginger Muffins and get all the other details below. My dear friend Johnna of In Johnna’s Kitchen is sharing gluten-free Carrot Ginger Muffins with us today. She says these “muffins are lightly sweet with carrots and zingy with ginger.” Now those sound like a really tasty way to start one’s day! Or a delicious way to take a break mid-day, or even a less sugary way to enjoy a wonderful dessert. I’m such a fan of muffins that they often sound like an ideal treat to me any time of the day and these muffins are no different in that regard. I could keep going with Johnna’s muffin recipes, but I’m going to move on to other favorites of hers: Jackfruit Barbecue (or do you call it BBQ or barbeque? ), Johnna’s Jap Chae, Recon (Almost Scout Cookies), and Sweet Ginger Sriracha Roasted Cashews. Every one of these recipes will blow you away with its goodness! I’m not kidding. 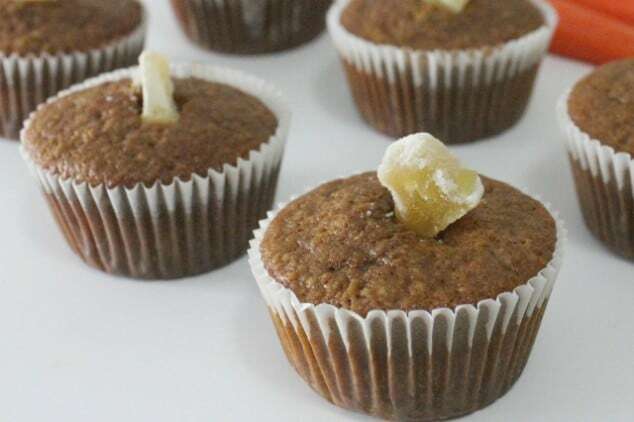 Before you head over to Johnna’s to get her Carrot Ginger Muffins recipe, please take a minute to enter today’s daily giveaway and be sure you’re entered in the overall/grand prize giveaway as well—and continue to be entered. Remember that each and every comment on every single post during MMM is an entry! I honestly can’t adequately express how important the work of Gluten-Free Watchdog (GFW) is to the gluten-free community. I originally wrote about GFW and its founder/operator, Tricia Thompson, here, but GFW’s work has only gotten more valuable to the gluten-free community since that time. GFW is on the gluten-free “battlefield” every day, not only ensuring that products labeled gluten free get tested and results reported (like the results on testing of “gluten-free” Cheerios even after the recall), but GFW also works directly with such companies and the FDA regarding inaccurately labeling of products as gluten free or any instances of gluten-free products containing gluten (e.g., recent cases with Annie’s and Snyder’s of Hanover). ~ Instant access: Sign up now and view your first reports instantly! ~ Testing data for a fraction of the cost: Subscribers receive approximately $2,000 worth of new testing data a month. ~ Full text of reports: As a subscriber you have access to a database of product reports and testing information, including the ppm level of gluten found in each product. ~ Two plans to choose from: Both plans give you access to all new reports, released weekly. Vanilla bean paste is an ingredient that many folks love having in their pantry. It gives you the effect of the vanilla scraped-out of the vanilla bean, or pod, if you will, without having to have vanilla beans on hand or do any scraping if you do. You just grab your jar of vanilla bean paste and you’ll have the same effect of the scraping of the magical vanilla bean by simply scooping some paste out of your jar. Magic and convenience together; I’m all for it! Be sure to enter the overall/grand prize giveaway at the bottom of this post and come back tomorrow for another terrific gluten-free muffin recipe and another daily giveaway. Again, remember that commenting on every post during the MMM event gives you additional entries into the grand prize drawing, which includes the following, so spread the comment love here and on participating posts! I just bought a 10 pound bag of carrots – planning more juices and this recipe is perfect! Thanks! I would LOVE to win the Vanilla Bean Paste! Can’t seem to find it here! The vanilla bean paste has me drooling just thinking about it. I love vanilla! I’ve not had ginger carrot muffins before. I do love Gluten Free Watchdog and all the work Tricia does. 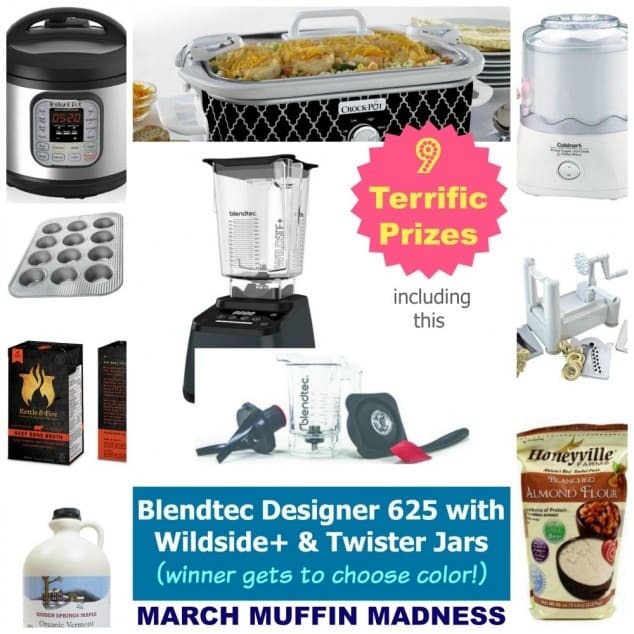 I would love the Blendtec or ice cream maker from the grand prizes! Loving all the muffins, Shirley! So many healthy, creative, and delicious recipes to try. Thanks for everything you do! I’d love to try vanilla bean paste! I always just replace it with vanilla extract in recipes but I’m curious if you can tell the difference. Wow, never heard of vanilla bean paste. Thanks for sharing about it. 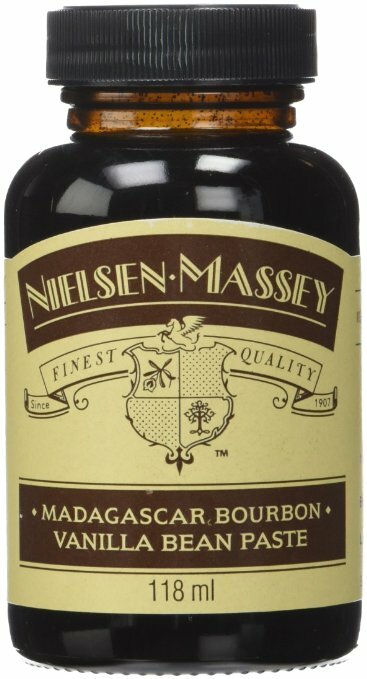 This vanilla paste would be wonderful! Reminds me of a mini carrot cake.